Momentum is building for the Tasmanian wine growers. With so many excellent (and relatively young) producers, making incredible wines, it's easy to see why. At MW, we're always impressed by those top producers from The Apple Isle. Sometimes we catch ourselves pondering who will become the great hero of the region. Today we have Tolpuddle, Pooley and Chatto Wines, three producers worthy of that title. 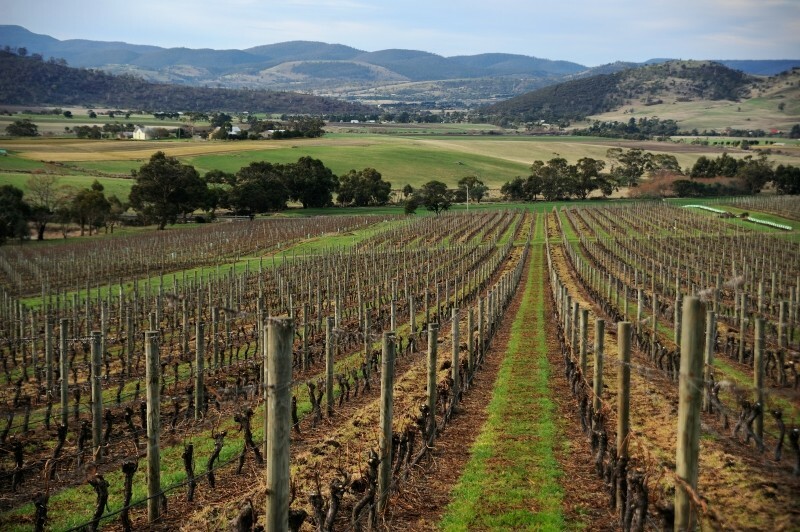 No wine region in Australia has more potential than Tasmania. Though in ‘wine years’ it is just emerging from the exuberance of adolescence. Tasmania’s unique set of attributes puts it in a strong position heading into the future and the confluence of wine, food, art and natural beauty in a compact package presents an alluring proposal to wine consumers and visitors to the state. 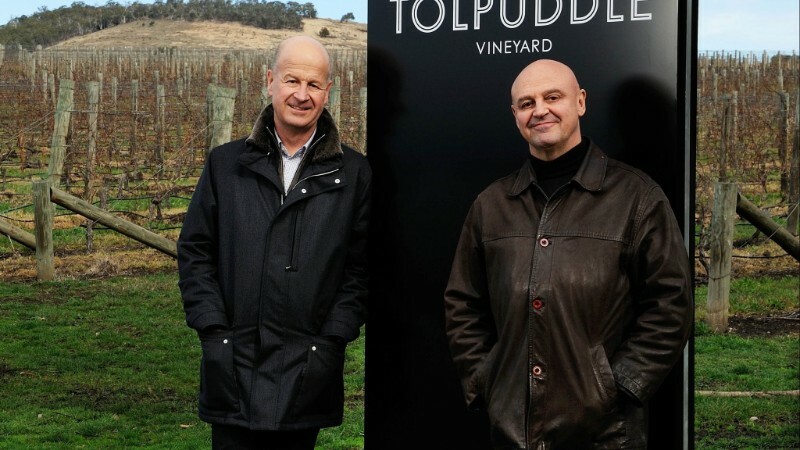 In 2011 Shaw + Smith purchased the famed Tolpuddle Vineyard in Tasmania. Winner of the inaugural Tasmanian Vineyard of the Year in 2006, this mature vineyard planted in 1988 produces some of the greatest Chardonnay and Pinot Noir in Australia. Under the custodianship of Shaw + Smith and the fastidious winemaking of Adam Wadewitz the wines have gone from strength to strength and are a favourite of the team here at MW. The 2017 Pinot Noir and Chardonnay have just been released and we are very excited to be offering them to you. The 2017 vintage has proven to be yet another leap in quality for the Tasmanian producer with the Pinot Noir attaining a score of 99 points from critic James Suckling. "If ever a new winery was born with blue blood in its veins, Tolpuddle would have to be it." This 6th release of Tolpuddle Vineyard pinot noir is the finest work to date, as it shows refinement and true vineyard expression. The fruit aromas are wildly alluring with red and dark cherries, red plums, strawberries, pink grapefruit, blood oranges, peaches and pomegranate. Some light peppery notes and an array of freshly ground, hard brown spices, stony and sappy elements, crushed roses and violets. Very complex. The palate is just as impressive with a strikingly resolved mix of power and elegance. Flavors of red and dark cherries, persimmon, plums and blackberries are encased in a sleeve of helix-like tannins, which also carry long and emanate waves of fresh fruit flavor. Intense red cherries and red plums hold the finish long and pure. This is something special. Drink or hold. This wine is true to the Tolpuddle Vineyard Chardonnay style: fine and precise with firm acidity, and a combination of lightness of texture and intensity of flavour. The 2017 vintage was defined by concentration paired with high natural acidity and reflects a wonderful growing season and the results of the detailed work done in the vineyard. Three generations of the Pooley family have been involved in the development of Pooley Wines, although the winery was previously known as Cooinda Vale. Plantings have now reached over 12ha in a region that is warmer and drier than most people realise. In 2003 the family planted pinot noir and pinot grigio (with more recent plantings of pinot noir and chardonnay) at Belmont Vineyard, a heritage property with a 1830s Georgian home and a second cellar door in the old sandstone barn and stables. ...Serious perfume. Dark cherry and undergrowth with complex layers of spice and cedar which wafts over the fruit. The palate is fresh and fragrant with red fruits, rhubarb, compote and dark macerated cherry. Very shapely through the mouth with fine tannin and acidity. Matured predominantly in puncheons; this wine is about ‘purity’. A little spice and nectarine, a little bolder and rounder than the Cooinda Vale, with less drive and length, though it’s no slouch either, it must be said. There’s fine acidity and flinty texture, a layer of almond and oatmeal, lemon and a touch of zest pushing through the finish. It drinks very well now, even though its best days are a few years away. Lovely, and full of charm. Jim Chatto is one of the hardest working personalities in the Australian wine industry. Chief Winemaker for both Kreglinger Wine Estates and McWilliams Wine Group, Jim still finds time to pursue his passion for Tasmania and Pinot Noir through his very own label, Chatto Wines. Attention to detail in the wines is phenomenal, balancing incredible purity of fruit with fine, sure-footed structure. Only two wines are made from the Huon Valley vineyard and in limited quantities. Make sure to get in on this stunning boutique producer! I’m just at the start of a long journey. I know that I’ll make better wines as I absorb the multitude of lessons and experience year on year. Even more, I know by the time my daughters are as old as I am now, they’ll be making better wines than those of today. These wines are available now at our special offer prices for the next 7 days only. To place your order return the attached form, by email, by fax on 03 9419 6970 or call us on 03 9419 6990.